There’s a lot of people in the Archer Lodge area, and a heck of a lot of junk too. Yet there’s only one junk removal crew that the people of Archer Lodge trust, and only one crew out there that not only handles all of Archer Lodge’s junk needs, but also is the peoples favorite. 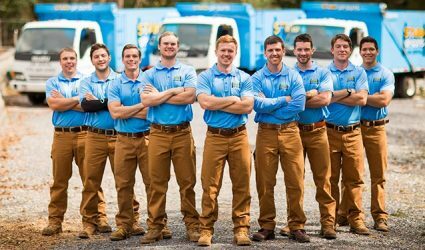 The one and only Stand Up Guys Junk Removal Crew! If you are sick and tired of dealing with the old junk furniture piled up in your spare bedroom, or the outdated appliance rotting away in the basement, or even the pile of debris in the back yard that you created during the weekend while doing yard work, you’re not alone. There’s a lot of people out there sick of their junk and these same people don’t know what to do about it. Until now. You can count on The Stand Up Guys Junk Removal Crew to help you with all your old junk and unwanted items, all throughout Archer Lodge. We’ll haul any and everything for you. The Stand Up Guys manage junk hauling for both residential and commercial customers in Archer Lodge. On top of taking anything you need, we also offer the best customer service and customer care in town. You can’t beat The Stand Up Guys! Archer Lodge is one of the largest unincorporated towns in Johnston County, North Carolina. Archer Lodge has over 4,000 residents, witch is a growth of over 400% since 2000. Yes, your read that correctly, 400%!! When a city is growing at that rate, you know there’s something to it. Archer Lodge is a wonderful city to live, visit and raise a family and everyone is catching on. One of the best perks to living in Archer Lodge, is that you have access to one of the greatest junk removal services in the country. The Stand Up Guys Junk Removal Crew! The Stand Up Guys have quickly became not only the number one junk removal company in the area, but we’ve also become Archer Lodge’s Favorite Junk Removal Company! We have built this reputation and earned this rapport with the people and businesses of the area with our outstanding customer service and value.